Road Rush Motorbike Rider is combination of Racing and Shooting Game. 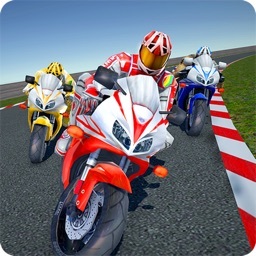 Race as fast as you can and beat your opponent by using different tricks like Punch, Kick. 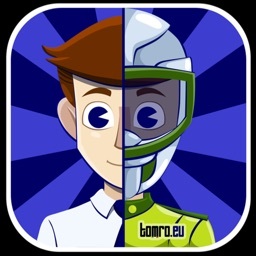 Also tackle different pickups like ‘Boost’ and ‘Stunts’. 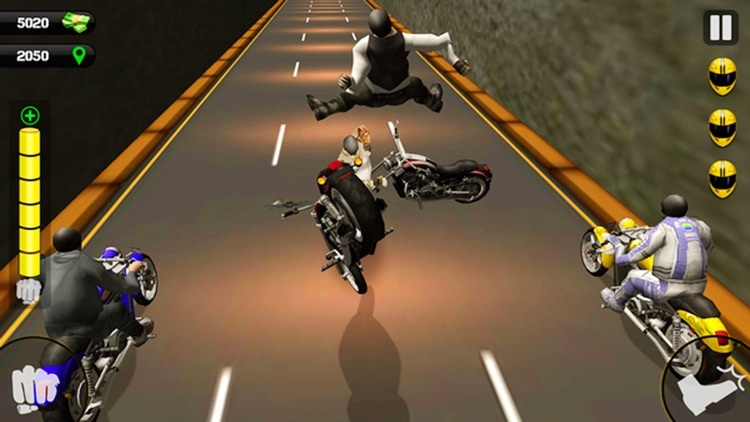 Shoot down any vehicle which is in your path during race. 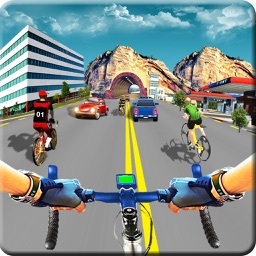 There is epic collection of bikes each has unique, distinct features and extreme stunts animation with adrenaline rush. 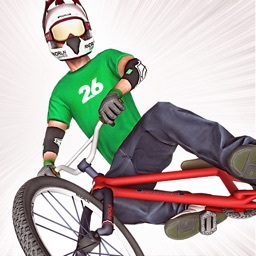 Choose or buy your favorite bike from virtual purchasing shop in game. 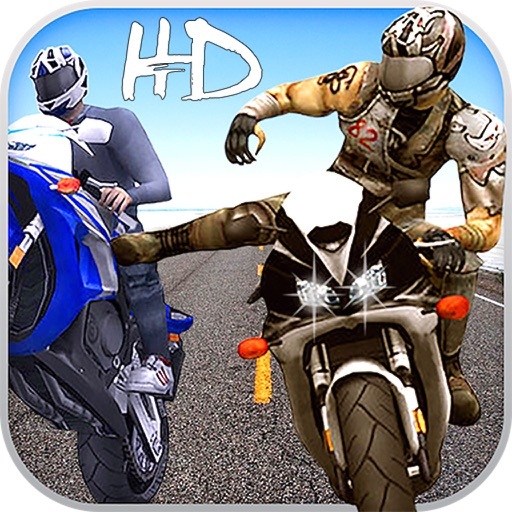 Perform tricks like wheelies, drifting and death defying stunts on bizarre routes. 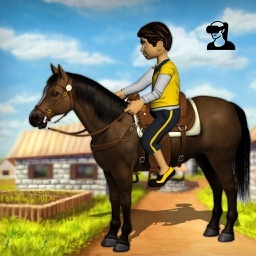 The numerous elements in game make game play challenging and thrilling. 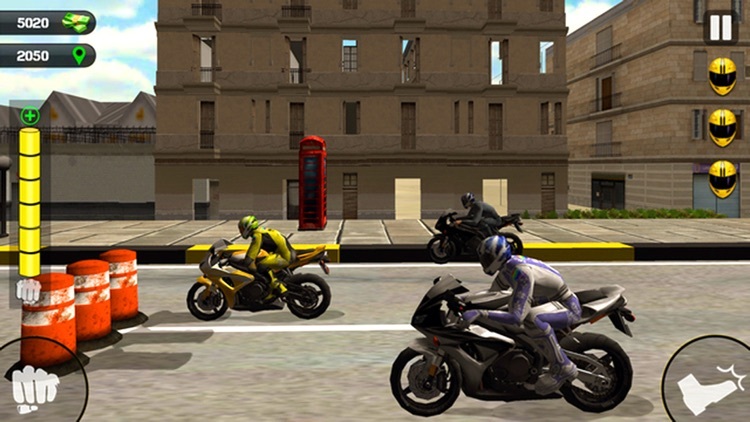 There are three types of modes in the game, checkpoint champion, objective rider, extreme race. 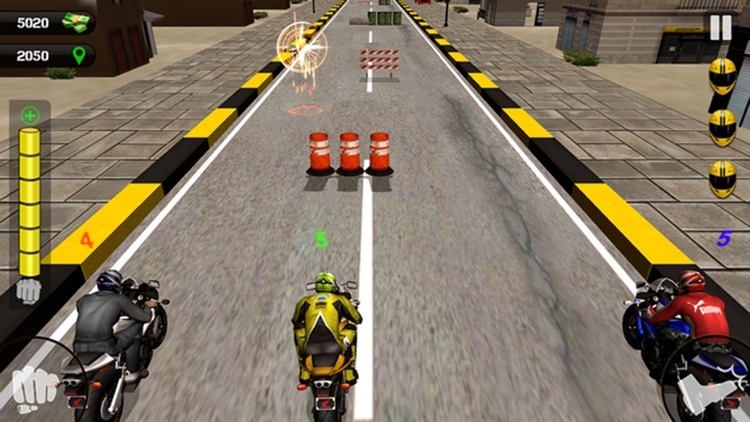 In checkpoint champion, the player has to clear checkpoints and avoid obstacles, performing stunts, fighting the bikers, shooting the cars. 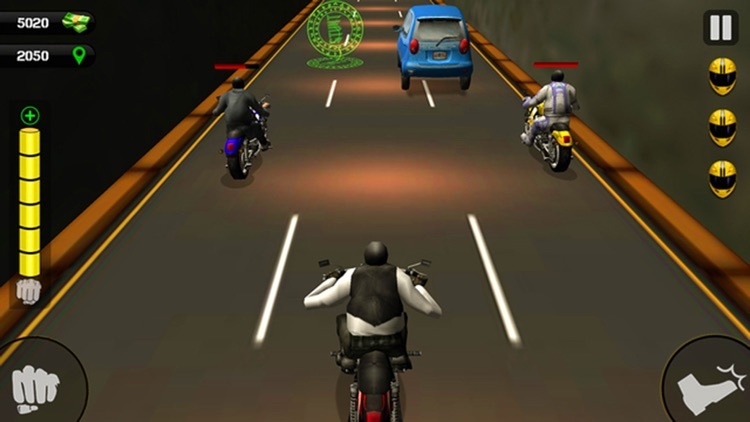 In the objective rider mode, the road warrior has to survive 6 death defying trials in which player has to destroy different number of cars and crash different number of bikes along with firing at vehicles. 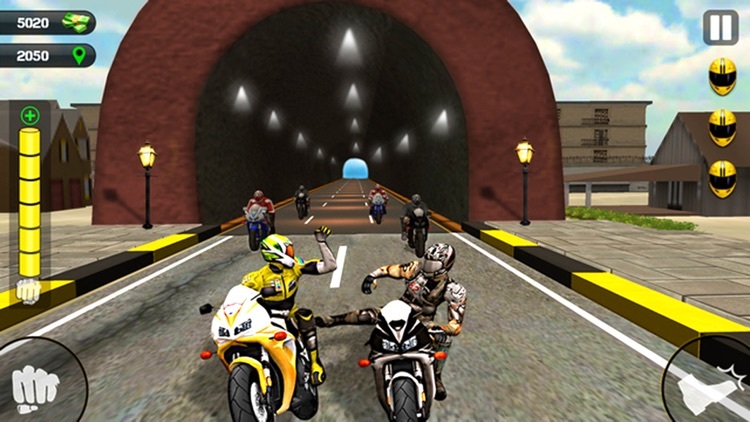 The Moto racer has to destroy cars with guns bullets and survive as long as possible and avoid the traffic and hurdles on the city, tunnels, and bridges as well.